That’s right! You can tie the knot and grab “4th Meal” in one stop! 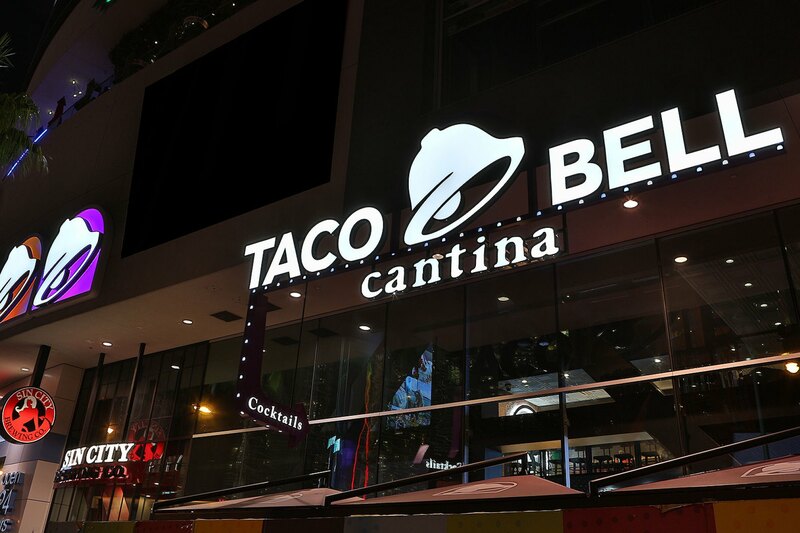 Taco Bell’s Las Vegas Cantina Flagship, conveniently located right on the world’s most famous strip, will soon be offering “Wedding Packages”! Taco Bell’s “Wedding Package” includes not only sauce packet wedding bouquets, “Just Married” t-shirts and a taco 12 pack. Just to class up the event, they even offer Taco Bell champagne flutes, a Taco Bell Garter and a Cinnabon Delights wedding cake! A reasonable $600 gets you all this plus a ceremony in the restaurant’s attached wedding chapel with an officiant. If this were an option when I got married 8 years ago….it wouldn’t have mattered because my wife never would have agreed to it anyway. Sidenote: After writing this, dinner plans changed from sushi to the Bell. You would not want this pillow?